The Athletic-fit hoody is meant for 4-way stretch fabrics. 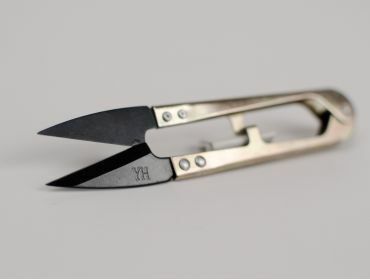 You could use it with a 2-way stretch fabric, but you would probably need to use a zipper to get it on. 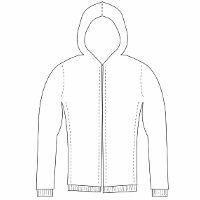 The loose fit hoody includes an optional pocket at the front and can be used with any type of material. 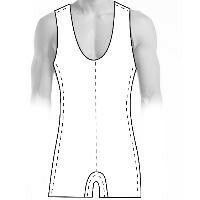 We are most excited about the tank style wrestling suit sewing pattern for men. 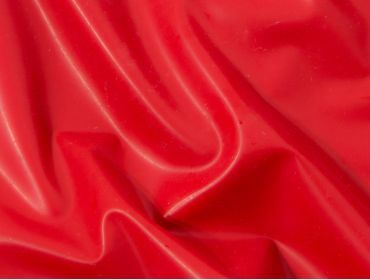 You’ll want to use a 4-way stretch fabric and if you make it from latex we’d advise cutting strips of latex to add trim to the arm holes and neck hole. 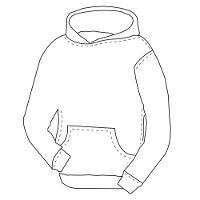 If using a traditional fabric you can use bias tape for the armhole and neck hole. We are going to extend the wrestling suit pattern to include a version with legs that go all the way to the ankle, and we will also create versions with short sleeves and long sleeves – a full catsuit! Lots of people have asked us for custom catsuit sewing patterns for both men and women, and we can’t wait to get these done. We’d love to hear from you on what patterns we should add next – email us at sales@MJTrends.com to make a request. 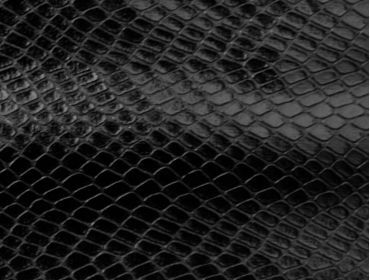 In other news we’ve added another video review of our snakeskin fabrics – this time it’s our black 2-way stretch snakeskin. Let us know if you find these helpful or if there is any additional information we can add to the videos, as we are planning to add more fabric reviews.